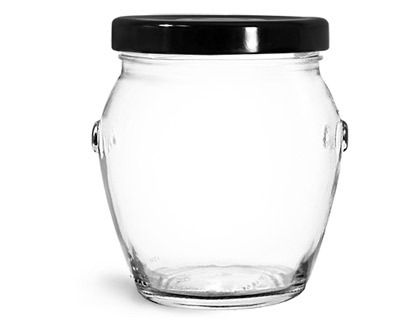 These unique clear glass honey pot jars are paired with black metal plastisol lined caps to create a dynamic packaging option for honey, jams, preserves, and other food products. These clear glass honey jars feature a tapered shape with rounded shoulders, with small neck heights and lug finishes. 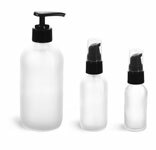 The plastisol lined caps create a hermetic seal when activated, helping to keep your products fresh.